This post is the second post for our Top 3 “Big Kid Skills” to learn before Kindergarten series. Kids love this book, don’t they? So how do we get our kids to manage when poop happens at school? Practise wiping themselves with toilet paper! I struggle with this one for the sake of cleanliness, but they need to start somewhere. A good way to start is to have your child do the last wipe, then the last two wipes, etc. Remember to teach little girls to wipe out towards their back. There won’t be any baby wipes in the washrooms at school – get your child used to old fashioned toilet paper. Besides, baby wipes should not be flushed down the toilet (even so-called “flushable” ones). Practise washing hands after!!!! With soap and water. Make this non-negotiable! Germs LOVE Kindergarten classrooms. Your little one will be bringing home enough germs as it is! What’s causing me the most anxiety about my Pumpkin starting Kindergarten is picturing my little girl crying, pants wet and unable to figure out how to clean herself up. Teaching staff do not provide toileting assistance; if she cannot clean herself and get changed, the school will phone us to come help her or take her home. So I imagine her crying in her wet clothes for a half an hour before we can swoop in and rescue her. And now I want to cry. Pumpkin hasn’t had an accident in ages but when she has, it was related to a huge change in routine, new care providers or just plain having too much fun. So now we need to practise cleaning up from an accident! Okay, we can do this! 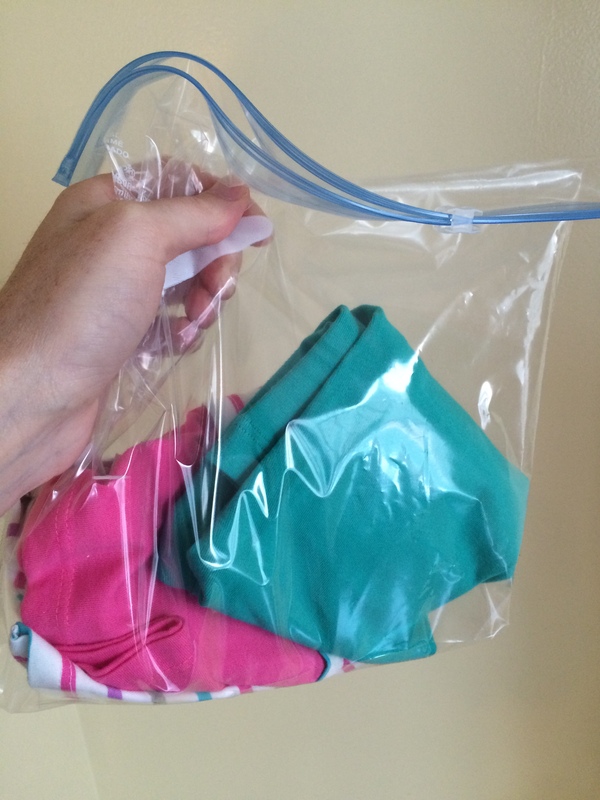 Put dirty or wet clothes into zip-bag and close bag. We’ve been doing a lot of talking lately about how she will need to do things for herself in Kindergarten, so I’ll be sure to talk about how this experience with the sprinkler is not much different than if she has an accident at school. This entry was posted in Keeping Your Toddler & Preschooler Safe, Parenting, Parenting Your Toddler & Preschooler, Play, Growth & Development, Preparing for Kindergarten, Toddlers & Preschoolers and tagged accidents, bathroom, independence, independent, Preparing for Kindergarten, preschoolers, ready for kindergarten, school, toilet, toilet learning, washroom, wiping. Bookmark the permalink.